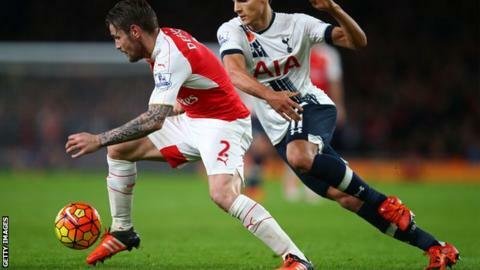 Arsenal defender Mathieu Debuchy has joined Ligue 1 side Bordeaux on loan for the rest of the season. It is understood Arsenal blocked a possible move to Manchester United for Debuchy, who joined the Gunners from Newcastle for £12m in July 2014. The France international, 30, has made just seven appearances for Arsenal this season and not figured since November. The right-back has been allowed to return to France for the chance of first-team football ahead of Euro 2016.